The next ice age is upon us, make sure your home is properly insulated, or at the very least line your walls with books. The dense paper will help keep what heat you have inside. Will also help dull the noise of your neighbours who are no doubt arguing because they have no books. We've finally depleted the world's fossil fuels and electricity is in short supply. Paper-based books continue working without a power source. Really. I'm not lying. Laugh at your neighbours as they trying and read Lord of the Rings one page per week on their all-singing, all-dancing, power-hungry tablet. Full bookcases are rather heavy and will prove an obstacle to any lumbering zombie. Barricade doors with your bookshelves to stay safe. Will also deter passing looters. Everyone else might be panicking. No internet, no bank accounts, no iTunes, no ereaders. You can be smug with your paper-based books. They still work! If your government has decided to ban every book with words they don't like, you'll have to go under the radar to download your favourites or even keep them on your ereader. You could switch off your wifi forever but be sure that Big Brother is always watching you. However, paper-based books can be bricked into wall cavities, sewn into mattresses or hidden in underground vaults if you're rich. It only takes one paper copy to keep the book in existence, it's practically your duty to store them up now, before it's too late! In extreme measures, you can even use the books you never really liked that much in place of toilet paper. All books also come with a few free blank pages to use in emergencies. Got more apocalypse busting tips? Send them in via carrier pigeon. 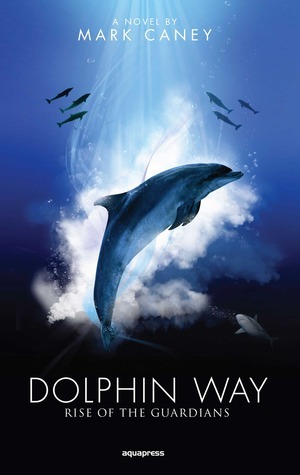 IMWAYR is hosted by Sheila @ Book Journey and is a little round-up of the week for bloggers that read. This week is an exciting one as I'm off to the Simon & Schuster blogger event on Wednesday (let me know if you'll be there too). I'll also be starting Review Copy Cleanup month in which I'll tackle my review pile (not to be confused with the TBR which will never be tamed). I'm not accepting new review requests for this event as I have more than enough to keep me going. Me Before You Biscuits | Winners Announced! Not Just For Stormtroopers: Sci-Fi Group Read #3 | Incoming! A restrained week for once. I had a request on Read It Swap It come in and the swapper had Virals by Kathy Reichs. I was a bit unsure about reading this before but I'll give it a whirl. Her adult books have gone downhill recently so will be interesting to see what her young adult writing is like. The other book is from newbooks magazine, The Panda Theory by Pascal Garnier due to be published by Gallic Books in March. I know I have said I'm not sure if noir is my thing but there's a toy panda in the blurb so I had to give it a go. I'm sorry, I forgot to post a poll for March's group read and have ended up grabbing a book off my shelves that I haven't read yet either. 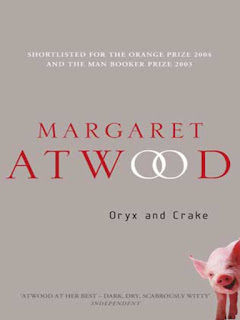 This month, lets prove that genre and literary fiction aren't mutually exclusive with one of Margaret Atwood's books, Oryx and Crake. Snowman wakes before dawn. He lies unmoving, listening to the tide coming in, wave after wave sloshing over the various barricades, wish-wash, wish-wash, the rhythm of heartbeat. He would so like to believe he is still asleep. On the eastern horizon there's a greyish haze, lit now with a rosy, deadly glow. Strange how that colour still seems tender. The offshore towers stand out in dark silhouette against it, rising improbably out of the pink and pale blue of the lagoon. The shrieks of the birds that nest out there and the distant ocean grinding against the ersatz reefs of rusted car parts and jumbled bricks and assorted rubble sound almost like holiday traffic. Out of habit he looks at his watch - stainless-steel case, burnished aluminium band, still shiny although it no longer works. He wears it now as his only talisman. A blank face is what it shows him: zero hour. It causes a jolt of terror to run through him, this absence of official time. Nobody nowhere knows what time it is. You should easily be able to find second hand copies or pick it up from your library and it's widely available to buy in a range of formats, including ebook. As before, the group read is completely optional for the reading challenge and you can carry on with books of your own choice if you prefer. Harold and Maureen are a retired couple, driven apart emotionally by the actions of an absent son. One morning Harold receives a letter from Queenie Hennessy, a friend from his past. 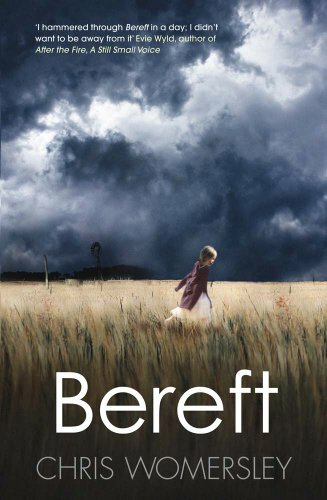 She has cancer and she is dying in a hospice in Berwick-Upon-Tweed, the other end of the country. Harold writes a reply and walks to the nearest postbox. But he doesn't post the letter there, he carries on, first to the next post box and then to the post office and then onwards, to put off posting his final words to Queenie. Then an unsuspecting girl in a garage gives him the idea; he will walk to her, whilst he is walking she will live. He will save Queenie. Whilst not religious, Harold's walk is a true pilgrimage. He suffers blisters and rejects creature comforts. As he walks he meets people and shares their confidences, it is easier for them to unburden themselves to a passing stranger than someone close. Harold experiences the kindness of strangers as he tells them of his mission. I don't live in Devon, but the next county over and I grew up near Kelso (somewhere briefly mentioned in his travels). The trip from south coast to Berwick is one I am familiar with but by train, and in more recent years by plane, because it's a long way. I couldn't imagine walking it ever and I'm less than half the age of Harold. He takes a long time to get out of Devon, and the bulk of the story takes place in the south west. Rachel Joyce lives in Gloucestershire so perhaps is a much more familiar area for her to write about. Still, it had that extra touch of a personal connection for me. I felt the character of Maureen was a little flat and stereotypical at the start. As their story unravels, she becomes more real and some of the events in their past could explain it but I would have liked her to be a little more believable from page one. Harold and Maureen's relationship is reflective of many that go on behind closed doors. Together because they have been for so long but essentially living apart from one another. I got a bit confused at times when Harold lapsed into his memories. It wasn't always clear what was present day but he comments on past and present merging in his mind so it may have been intentional. Reading between the lines, I worked out what was going on quite early but the journey is more important than the final reveal in any case. At one point Harold is proud that he is averaging 8 miles a day. Even if he's only managing to walk as a slow 2mph then that means he was only walking 4 hours a day. I think the author needed to give him a little more credit, especially once he had found his stride. If I was walking to save someone's life, I wouldn't be dawdling so much. I liked the snippets of British life that Harold observes as he walks. From the hedgerows to the random things left out on streets and the odd characters that we would normally try and ignore. At the centre is message that we shouldn't take life for granted. Behind the pain of living, there is goodness in people and we should have a little faith. Not in god but in others and yourself. It's both sweet and moving and will leave you reaching for the hankies. 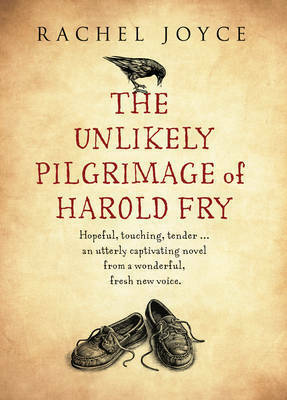 The Unlikely Pilgrimage of Harold Fry is Rachel Joyce's first novel however she has written many a play for Radio 4. 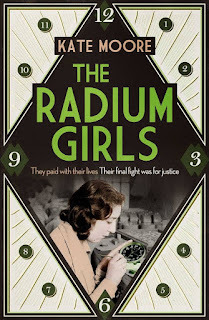 It has been chosen as one of the Waterstones 11 for 2012 and will be available in hardback and ebook editions from 15th March 2012 from Doubleday in the UK. Thanks go to Transworld for providing me with a copy for review. You may remember when I was flying through the Morganville Vampires series, reading them back to back for some light relief. 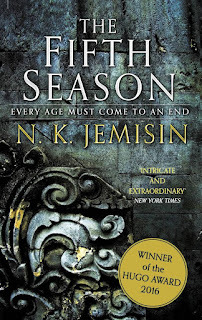 I had to force myself to put them down at the end of Lord of Misrule to get back to my normal reading material. 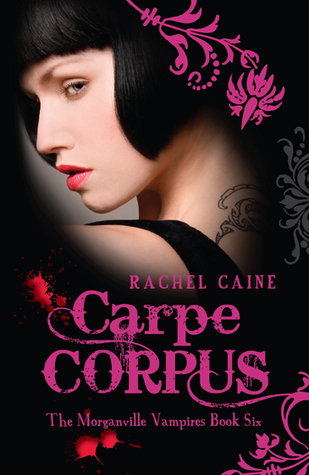 Well, I really shouldn't have forced myself, Carpe Corpus would have been my Morganville cold shower. 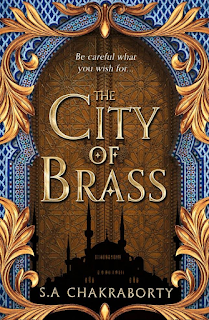 Like the others, it carries on from the previous book's plot, however with a gap in my reading it took me a while to remember what was going on. 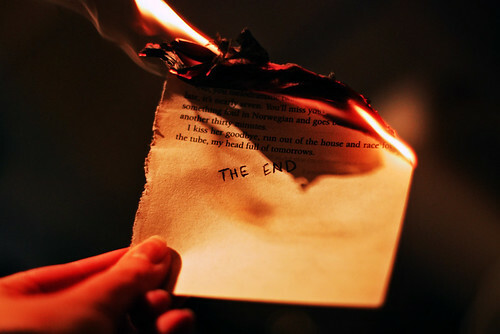 It doesn't have any real plot to it, I mean I really couldn't summarise it for you and I finished it yesterday! 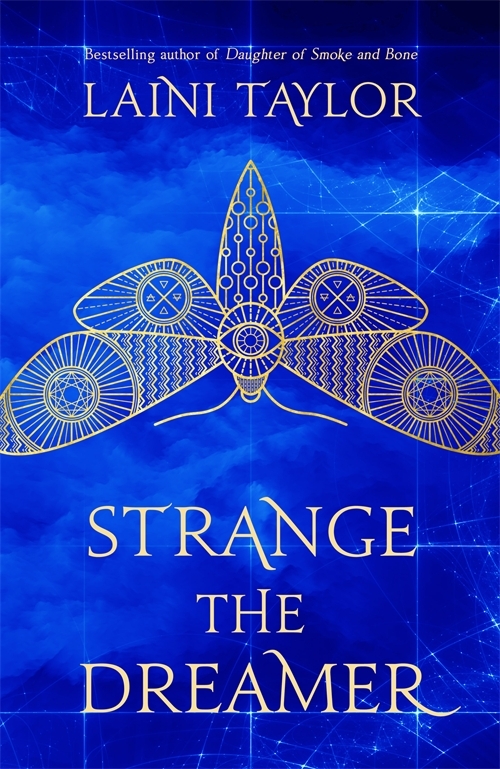 It seems to me that it's an attempt to tidy up all the loose ends from previous Morganville escapades, which means that we can start afresh in the next one. There's still some good bits, like the vampire computer and most of Myrnin's scenes. Claire finally passes the age of consent so we don't have to hear about that excuse for the hundredth time. It's still got some of the humour that makes the series so endearing. The ending seemed really out of place, not with the general world of Morganville but in its placement in the book. I thought it was being wrapped up and I was getting bored. Then suddenly something quite serious happens but that's over again in a few pages. A reliable source tells me this is the low point of the series and it gets back to its normal, addictive goodness in the next book, Fade Out. 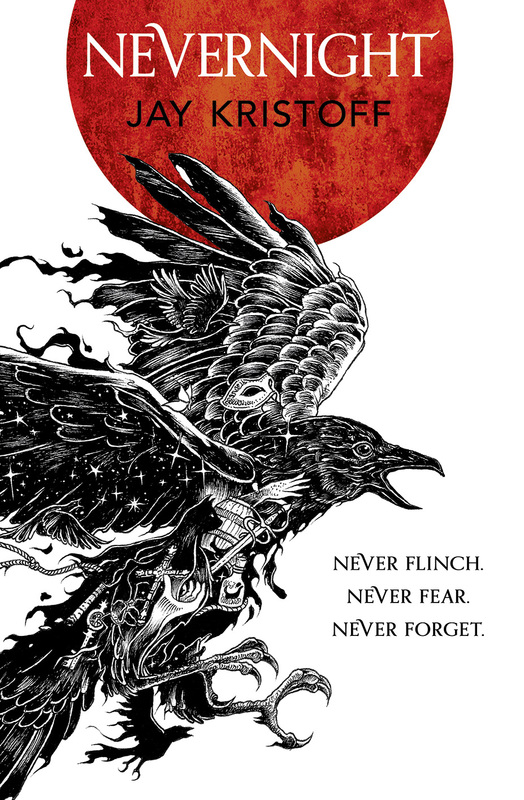 The newly published omnibus editions might make sense, with 3 novels per book, they seem like the perfect way to read the series. And at least Carpe Corpus has an end. Thank you to everyone who stopped by during the Literary Giveaway Blog Hop - I had a whopping 200 entries. I hope those of you that are new followers will carry on visiting now and then. It's my blogoversary next month so there will be more goodies up for grabs. I will be emailing you shortly so make sure you check your spam folder if one doesn't arrive. I won these lovely iced biscuits* via Twitter in celebration of the release of Me Before You by Jojo Moyes. Thanks to both Penguin and Biscuiteers for these pretty and yummy biscuits. There is a Biscuiteers book available which I'm thinking of buying however I'm sure my first attempts will look nothing like these! Pssst! 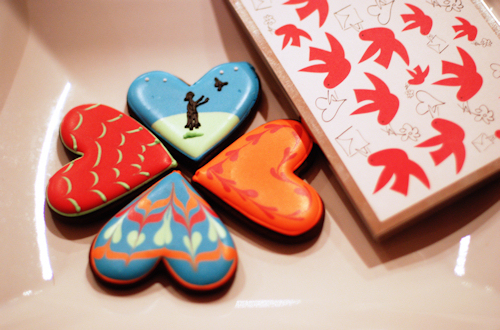 If you'd like a fiver off a biscuit tin, enter "madewithlove" in the discount box. 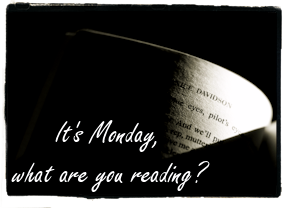 IMWAYR is hosted by Sheila @ Book Journey and is a little round-up of the week for bloggers that read. It's been a productive week blogwise for once! Why we still need the gatekeepers | Incoming! Mobile phones contain entire lives within their circuits. Poppy has just lost her engagement ring when her phone is stolen. The timing couldn't be worse but as she's waiting for assistance, she spies a phone in the bin, carelessly tossed away. If it's in the bin, no one wants it right? Turns out it belonged to the PA of Sam, a bigshot in a PR firm and he's not too happy that Poppy is now using it. But they come to an agreement, Poppy can keep the phone until she finds the ring and she promises not to read his emails...only who could resist? Slowly, Poppy becomes his uninvited PA all the while preparing for her wedding. 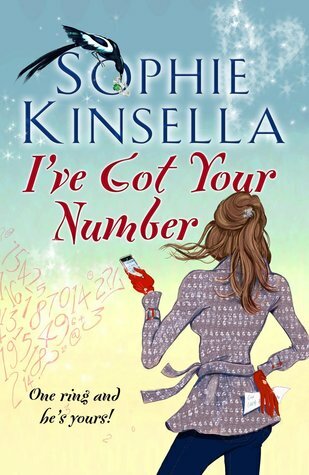 Sophie Kinsella is back on form with I've Got Your Number. 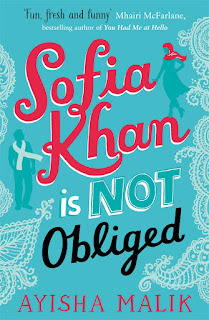 I laughed, I cried and it's a thoroughly modern tale. We rely so much on our phones these days and managing work through email. It highlights the misunderstandings made through lack of inflection in emails and pokes fun at some people's phone habits. There's a contrast between the formal world of academics and the informal world of every day life. I loved how the footnotes became a running joke. Of course, there will always be a central romantic plot, although I didn't think the outcome was overly obvious from the start. One thing I like about her female leads is that they always feel real, even if the plot isn't. They are imperfect and they think absurd things at times but this is something actual real people do. If I had to nit-pick, I'd say the circumstances around the phone are a bit unbelievable. I got the feeling it was a bit of an outdated model but she is still emailing from it and taking photos. If it had been an iPhone, I think Sam would have retrieved the data and be shot of her within an hour. And really, would you let a phone thief have access to your business' confidence information? You really have to try not to think about this and allow some artistic license. The book is “augmented” with an app which animates the cover and a short video message from Sophie. It does seem a token gesture to do something digital with a print book. I think something like that would work better with children's books. Sourcing the correct editions on Goodreads has become a bit of a pain since they ditched Amazon data, so I've only linked to them where I've already added them to my shelves. Otherwise you'll have to make do with UK Amazon links. Harry Karlinsky comes across a name in the London Asylum records which piques his interest. Thomas Darwin. Was he any relation to Charles? He delves deeper into the records and discovers the story of the youngest son, a quiet man who had an obsession with cutlery which slowly drove him insane. It's an odd little book. 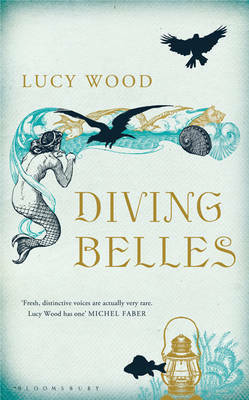 The cover has the word “novel” in a small font and the author's note acknowledges that it's fiction but it is otherwise introduced and written as a historical biography. 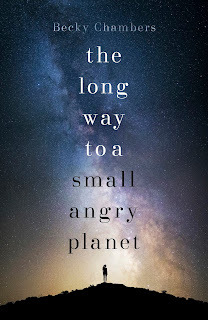 Thomas' life is intertwined with that of Charles Darwin and it becomes difficult to separate fact from fiction, something that is both charming and infuriating, depending on your outlook. It is certainly a unique way to write historical fiction. I rather liked his theory of evolution of cutlery, there is a lot of sense to it, except for when he starts to become a bit “peculiar” as the editor of Nature kindly put it. The style is not dissimilar to that of Charles Darwin's works and there are a number of letters, articles and illustrations throughout like the collected works of one man's research. It is not told in chronological order, instead divided into sections for his personal life, his work and his illness, much like a real biography. I really can't decide if this is genius or not. If you're looking for well rounded characters and a gripping plot, keep looking. However, if you're interested in unique ways of story telling or even just Darwinism, give this a try. I think it might bring a smile to your face. The Evolution of Inanimate also wins the award for best barcode. Admittedly, it didn't have much competition but I still love it. 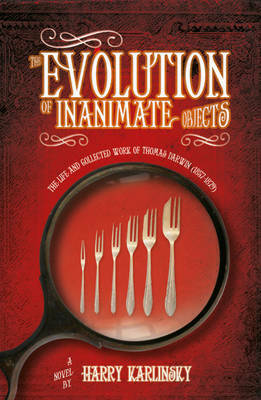 The Evolution of Inanimate Objects: The Life and Works of Thomas Darwin (1857-1879) is published by The Friday Project and is currently available in hardback and ebook formats. Thanks go to the publisher for providing me with a copy for review. 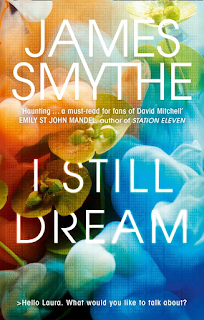 With all the discussions flying around about self-publishing, the evil of Amazon and the future of the industry, I feel the need to stick my head above the precipice and shout “what about us?” You know, the readers, the people that buy these books. In theory self-publishing is a good thing, letting authors get their work out into the open and read, but you only need to look around a handful of book blogs to see that bloggers aren't accepting them for review, either through bad experience or the sheer number of requests we receive for them. I think, in all likelihood it's a little bit of both. If I only had a few requests a year, I'd be more inclined to say yes. Instead, I expect a personalised pitch and a sample for me to judge their style by and still I feel like these books are a chore to review. Which is sad because I genuinely love reading and reviewing. Maybe if I read more self-published work, I'd find one I loved but I'm not prepared to wade through the slush pile to get there. Because that's what publishers do. The team behind your books read them, like them, edit them and market them to (mostly) the correct audience. You start to trust in imprints that publish books you've enjoyed. You're not going to like everything, but there's a good chance you're not going to be put off reading for life. The general reading masses do not care that Amazon are “taking over” and mostly they like the company for selling everything including the kitchen sink for low prices and free delivery. They do care if all their bargain ebooks turn out to be boring or badly constructed. You can only gauge so much by Amazon reviews, I have witnessed “advice” for authors to get their friends to leave positive reviews and discourage negative ones. Due to the abuse of the unhelpful vote, genuine reviewers may be less inclined to leave a negative review and just not leave one at all. Lets face it, most users of Amazon don't even consider reviewing books. I wonder, if after the initial excitement of new toys wears off, readers will stop buying so many ebooks just because they're 99p. We all do it, but in my case, it's mostly traditionally published books that have been reduced to increase sales. 95% of the time you can spot a self-published book a mile off as cover designers don't seem to be high on the list of things to acquire before publishing. 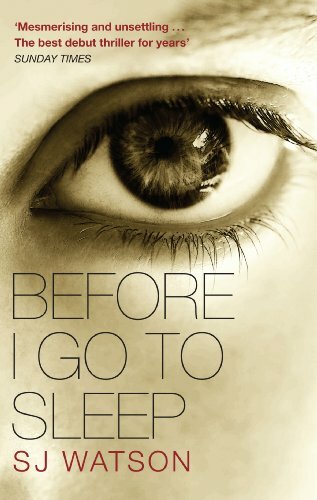 I love a good cover design, and a bad one makes me wonder how much thought the author put into the whole process. Has it been edited by a professional or just their friends? Or, worse, not at all? Has it even been proofread (spell-checkers are no substitute)? Have they researched the places, customs and events that occur within the story? Publishers are so often portrayed as the snobbish gatekeepers that keep the talented authors out of book heaven. That's just not fair and I'm not just saying that because they send me books. I'm sure they would be kicking themselves if they overlooked a gifted author and they went on to be a huge self-publishing success. There are plenty of new digital publishers starting up, doing the same important things but more likely to pick up your novel...if it's good. 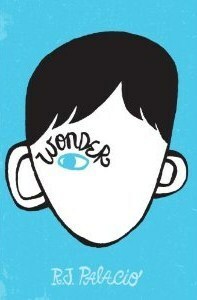 Because whilst maybe everyone has a book inside them, not everyone has the skill to write one that others will enjoy. 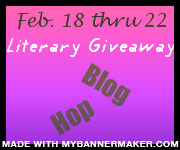 It's time for the Literary Giveaway Blog Hop hosted by Leeswammes! The event runs until the end of Wednesday so you've got plenty of time to visit all the blogs hosting giveaways (list below). I have had so much trouble picking just one book, I am going to give you a choice. 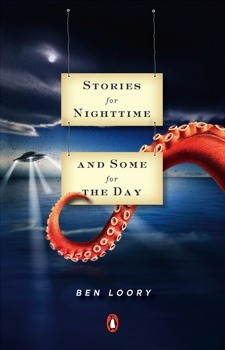 The winner will receive one of the following titles: The Raw Shark Texts by Steven Hall, Stories for Nighttime and Some for the Day by Ben Loory, Bereft by Chris Womersley or Before I Go to Sleep by SJ Watson. Please click on the covers for more information. 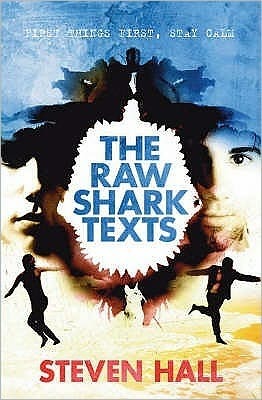 The Raw Shark Texts is one of my all time favourite books from pre-blogging days so there's no review but I thoroughly recommend it. You do not need to be a follower to enter but if I gain 50 new followers by the end of the event, I will pick an extra winner. You can follow me by RSS, email, GFC, Twitter, Google+, Networked Blogs and/or Goodreads. 1. Entry is by completing the form below. 2. Entry is open internationally. 3. Books will only be shipped to countries on this list. 5. Prize(s) will be sent via The Book Depository or Amazon. 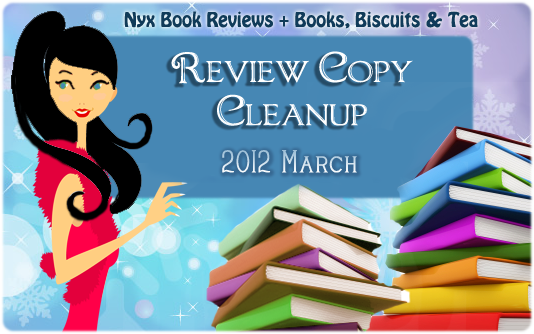 Review Copy Cleanup is hosted by Nyx Book Reviews and Books, Biscuits & Tea and will run for the whole of March to motivate us to finish those review books lurking on our shelves or ereaders. You can sign up here. This will be a really good push to get caught up with all those books I keep putting off. Plus I can find out what is really living on my Kindle!